Please see Terms and Conditions for important information regarding this offer. 1. Offer subject to credit approval. If at the time of your application you do not meet the credit criteria previously established for this offer, or the income you report is insufficient based on your obligations, we may not be able to open an account for you. This offer is available to new cardmembers only. For information about rates, fees, other costs, the rewards program information and benefits associated with the use of the credit card program, please see the Terms and Conditions. Annual Fee: $0. 0% introductory APR on balance transfers made within 45 days of account opening is applicable for the first 12 billing cycles that immediately follow each balance transfer. This introductory APR offer does not apply to purchases and cash advances. For purchases, and new and outstanding balance transfers after the introductory period, the variable APR is 18.24%, 22.24%, or 27.24% depending upon our review of your application and your credit history at account opening. The variable APR for cash advances is 27.49%. The APRs on your account will vary with the market based on the Prime Rate and are subject to change. For more information see the "About the Variable APRs on Your Account" section of the Terms and Conditions. The minimum monthly interest charge will be $0.50. Balance transfer fee: 3% (min. $5). Cash advance and cash equivalent fees: 5% (min. $10). Foreign transaction fee: 0%. See Terms & Conditions for updated and more information about the terms of this offer. This one-time offer is valid for eligible cardmembers. You may not be eligible for this offer if you currently have or previously had an account with us in this program. In addition, you may not be eligible for this offer if, at any time during our relationship with you, we have cause, as determined by us in our sole discretion, to suspect that the account is being obtained or will be used for abusive or gaming activity (such as, but not limited to, obtaining or using the account to maximize rewards earned in a manner that is not consistent with typical consumer activity and/or multiple credit card account applications/openings). 2. Please refer to the JetBlue Card FAQs and Terms & Conditions for more information about the program benefits and features. 3. 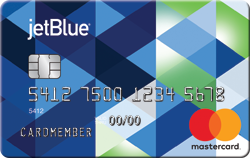 The FAQs and Terms & Conditions on this page apply to the JetBlue Card with no annual fee only. Upon clicking the 'Learn More' button below the JetBlue Plus Card in the comparison chart, a new page will open featuring the JetBlue Plus Card with $99 annual fee offer information and opportunity to apply. 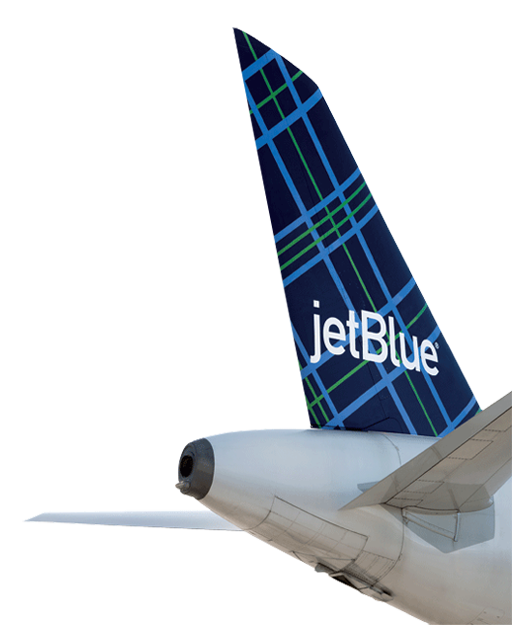 The JetBlue Plus Card FAQs and Terms & Conditions are provided on that page. The JetBlue World Mastercard is issued by Barclays Bank Delaware (Barclays) pursuant to a license from Mastercard International Incorporated. World Mastercard is a registered trademark, and the circles design is a trademark of Mastercard International Incorporated.